2015 Atlas Corps Fellowship Program: Atlas Corps is an international network of nonprofit leaders and organizations that promotes innovation, cooperation, and solutions to address the world's 21st century challenges. Atlas Corps' mission is to address critical social issues by developing leaders, strengthening organizations, and promoting innovation through an overseas fellowship of skilled nonprofit professionals. featured in the Washington Post as a model social entrepreneurship program, Atlas Corps engages leaders committed to the nonprofit sector in 12 to 18 month, professional fellowships at organizations to learn best practices, build organizational capacity, and return home to create a network of global changemakers. The Atlas Corps Fellowship is a 6 to 18 month professional fellowship offered three times a year for professionals from around the world. 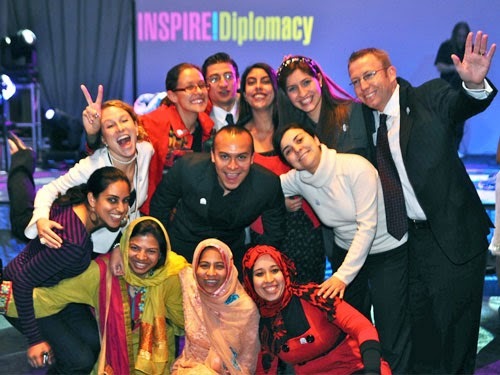 Fellows serve full-time at Host Organizations located either in the United States or Latin America working on issues that complement their expertise. Fellows develop their leadership skills while sharing best practices and supplement daily knowledge with theoretical topics presented in the Atlas Corps Global Leadership Lab. This prestigious fellowship includes health insurance, enrollment in Atlas Corps Global Leadership Lab, flight and visa costs, and a living stipend to cover basic expenses (food, local transportation, and shared housing). In addition to the classic Atlas Corps Fellowship, a series of unique initiatives complement the diverse nature of our global exchange model. These special initiatives may have separate eligibility requirements for USA and for Latin America, but do NOT require a separate application. We consider applications on a rolling basis. You are encouraged to apply as soon as possible to be considered for one of our classes that begins in January, May, or September. Final decisions are made 4 -8 weeks before the class begins. For example, the January class decisions are made in November; May class decisions will be made in March; September class decisions will be made in July. You may reapply to our program, but you should only apply once a year, unless there is a dramatic change in your application, such as completing graduate school, winning an award, etc. Strong applications are considered for multiple classes unless the candidate withdraws their application. If you are accepted to the Fellowship, there may be a quick turnaround time between your acceptance and the beginning of the Fellowship. Start dates are not flexible, and assuming your visa is approved, you must begin your Fellowship with the class to which you are accepted. July 15 - Priority deadline for the January Fellowship. Applications are taken year round, but earlier applications tend to be more successful. July 15 - October 15: English Tests and Interviews conducted. November 8 - Priority deadline for the May Fellowship. Applications are taken year round, but earlier applications tend to be more successful. March 22 - Priority deadline for the September Fellowship. Applications are taken year round, but earlier applications tend to be more successful. For more information on application details and to apply, follow this link to visit the official page for Atlas Corps Fellowship.